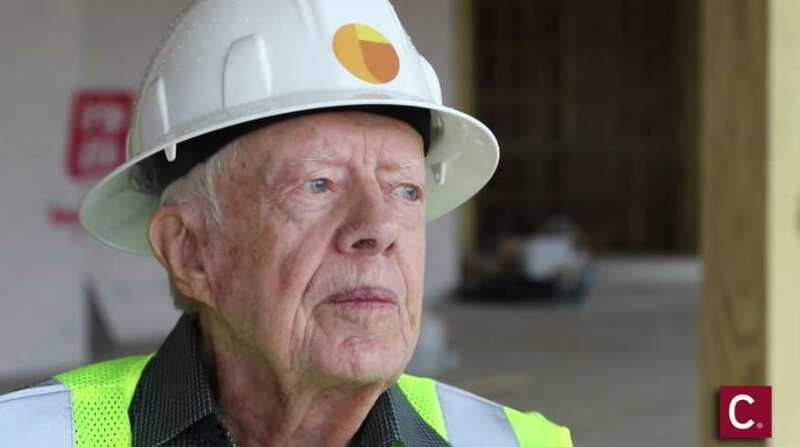 WILLIAMSTOWN, Ky. — Former President Jimmy Carter toured Ken Ham’s Ark Encounter on Friday, but told reporters that he was not necessarily endorsing Ham’s views, as he personally believes in evolution. Carter was visiting the site, to open to the public on July 7th, to support LeRoy Troyer, a friend whose construction company served as main architect for the project. As previously reported, the Ark Encounter is a theme park in Williamstown that features a full-scale replica of the ark that God instructed Noah to build to escape the coming flood, as outlined in the book of Genesis. Ham also desires for the attraction to provide visitors with the message of salvation. Ham told reporters on Friday that he welcomed Carter’s visit. Carter signed a hard hat as a souvenir marking his tour of the ark. “Would Jesus approve [of] gay marriage?” host Marc Lamont Hill asked.